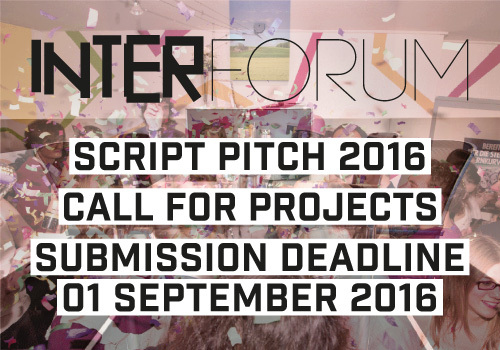 Interforum is calling for projects! interforum, the fringe programme for professional visitors and film enthusiasts at the International Short Film Festival interfilm Berlin is now accepting entries for the international Script Pitch competition. The pitching session will be held between the 14-18th of November, 2016, in Berlin. All script writers and interested filmmakers are welcome to apply with their script. Eight contestants will be selected to participate in the Script Pitch competition. Download the application here, and for more information on the International Script Pitch visit the official website. 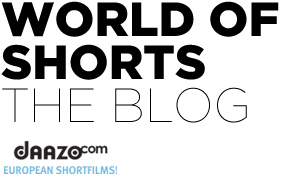 Submit short film projects with a maximum duration of 20 minutes in the categories, until the 1st of September! In addition to the Script Pitch competition all participants are provided with a four-days Script Lab to accompany the competition from 14 September until 17 September 2016. Within the practical and stimulating workshop programme there will be both a seminar on script development to sharpen the participants’ creative skills with NISI MASA experts and a pitch training with Gabriele Brunnenmeyer (script consultant, Kuratorium Junger Deutscher Film, coach, DE) to evaluate the live performance of each contestant. Script Pitch participants will be given the opportunity to meet international filmmakers, writers and industry experts at exclusive networking events at the International Short Film Festival interfilm Berlin. On 18 November 2016 the eight finalists will have 5 minutes to pitch their projects and convince the international jury consisting of amongst others Wouter Jansen (Programme Director, ISSF GO Shorts, NL) and Julian Windisch (Managing Editor, Arte Creative, DE) of their idea. The complete pitching will be held in English, you can find more information on interforum here.